Deaconess Cheryl D. Naumann presents a rich and insightful look at the deaconess vocation and its blessing to the LCMS. Using primary documents, personal recollections, and interviews, In the Footsteps of Phoebe fills a significant gap in the annals of synodical history. Collected in this one volume is a record of events as well as the thoughts and actions of deaconesses during every era of the Synod's history. We offer this excerpt from In the Footsteps of Phoebe as the Church commemorates Dorcas, Lydia, and Phoebe. January 1924 saw the first issue of The Lutheran Deaconess: Official Organ of the Lutheran Deaconess Association within the Ev. 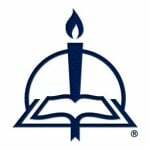 Lutheran Synodical Conference of North America (TLD). Concordia Publishing House published the eight-page magazine in the months of January, April, July, and October, for a subscription of 25 cents per year. Always eager to promote the female diaconate, Rev. F. W. Herzberger served as the magazine’s first editor, with Rev. John Witte and Rev. Martin Ilse Sr. (1870–1955) acting as associate editors.On Herzberger’s death in 1930, the editor’s mantle passed to Bruno Poch, who changed the journal’s physical format and moved its publication to The Lutheran Press in Berne, Indiana.The LDA Superintendents, or Executive Directors as they were later called, took responsibility for production of the magazine from 1930 until the last issue was published in 1971. Many rank-and-file members of the Missouri Synod remained unfamiliar with the idea of deaconess ministry unless they came into contact with deaconess nurses or lived within the precincts of city missions. In his lead article, starting on the front page of the first copy of TLD, Herzberger addressed the definition of a deaconess. Now, what is a Lutheran deaconess? Answer: A trained woman worker called by the proper authorities to do missionary, educational, or charity work within our Lutheran Church. We hold that our Lord Jesus has given our Church a most precious talent in our pious, intelligent, and willing young women, a talent we have neglected far too long to put to good use for the spread of His kingdom. Indeed, whoever knows what other denominations have accomplished through their trained workers and also knows the crying need of consecrated woman’s help in our own over-ripe harvest-fields at home and abroad, in our large city congregations, in our numerous charity institutions, must admit that the Lord has need of them. In Holy Baptism our women as well as we men were pledged to the service of our God and Savior. What is there to hinder our young women from giving their service to the Church as long as they do this in the right spirit? We need not point out to our Lutheran readers that this so-called female diaconate is no divinely appointed institution of the Lord and does not confer any special spiritual rank or dignity on its members, but that it is simply a helpful office within the Church; it is doing such work as women are best able to do. The office, as we all know, is limited in its scope by the physical nature of woman [sic] and certain limitations of Holy Writ. Within these limitations our Society purposes to carry on its deaconess work. If Herzberger’s definition of a deaconess—a trained woman worker called by the proper authorities to do missionary, educational, or charity work within our Lutheran Church—seems to be over-simplified, the points of his definition are none-the-less potent. He asserts: A deaconess is female and she is properly trained. She works only in situations to which she has been called by the proper authorities. She executes missionary, educational, or charity work within the Lutheran Church, and therefore, within the proper parameters assigned to her by the Scriptures. Public relations materials about deaconess ministry in the 21st century tend to shy away from specific references to “missionary, educational, or charity work.” But the reason for this is simply a change in vocabulary that has accompanied a departmentalization of types of church work within the LCMS. Today, “missionary” work usually refers to overseas placements, the planting of congregations, or the work of Directors of Christian Outreach (DCO). “Educational” work might refer to jobs held by teachers or Directors of Christian Education (DCE). “Charity” work could refer to activities carried out by Lutheran social workers, LCMS World Relief, or the Board for Human Care Ministries, as well as various fraternal or volunteer organizations. It is possible that the three types of work listed in Herzberger’s definition of a deaconess—missionary, educational, or charity work—correspond to the three “kinds of deaconesses” he explained were needed to fulfill the stated aims of the LDA: missionary deaconesses to be trained for home and foreign mission work; parish (or educational) deaconesses to care for the poor and sick in parishes; and institutional (or charity work) deaconesses to carry out a ministry of mercy in all charitable institutions. In early issues of TLD, Herzberger included articles describing the different types of deaconesses needed by the church to fulfill her mission of bringing the Gospel of Jesus Christ to all people. Several of these fascinating pieces are printed below. Taken together, they document the grand cumulative vision for deaconess work within the Synodical Conference held by the LDA, members of ALCh, and other church leaders. Herzberger, “The Lord Hath Need of Them,” 1–2. When TLD first went to print, the LCMS did not have the proliferation of church worker careers that exists today. The Synod was just beginning to recognize the need to educate women as teachers for its Christian day schools. It had not yet granted permission for women to attend its colleges, but “institutes for the education of women teachers” were starting to be held on the campus located in Seward, Nebraska. See LCMS, Proceedings, 1926, 76–77. The first copy of TLD also included an article from St. John’s College (High School) in Winfield, Kansas, to recruit “co-eds” who were primarily taught to be church secretaries, though they enrolled in religion classes, could join the college mission society, and could participate in an adult Bible class and Sunday School teachers’ training course. See A. W. Meyer, “A Problem for St. John’s to Solve,” TLD 1, no. 1 (January 1924): 5. F. W. Herzberger, “The Proper Aim of Our Deaconess Work, and How to Attain It,” TLD 1, no. 4 (October 1924): 30–32. Some footnotes have been omitted. From In the Footsteps of Phoebe: A Complete History of the Deaconess Movement in The Lutheran Church—Missouri Synod, pages 58–60 © 2009 Cheryl D. Naumann, published by Concordia Publishing House. All rights reserved. To order In the Footsteps of Phoebe, please contact CPH at 800-325-3040 or visit www.cph.org.